Two Distinct Media, but Both Gifts of the Earth Elevated to Art. Ceramic Bowls & Crystal Jewelry Made to Enjoy & Enlighten. As an artist, can you successfully work with two distinct media and still have a consistent brand or style? Yes, if you're Earthy Ashley of Austin. This multi-discipline artist works both in clay and jewelry. What unites her collections is the celebration of materials from Mother Nature. 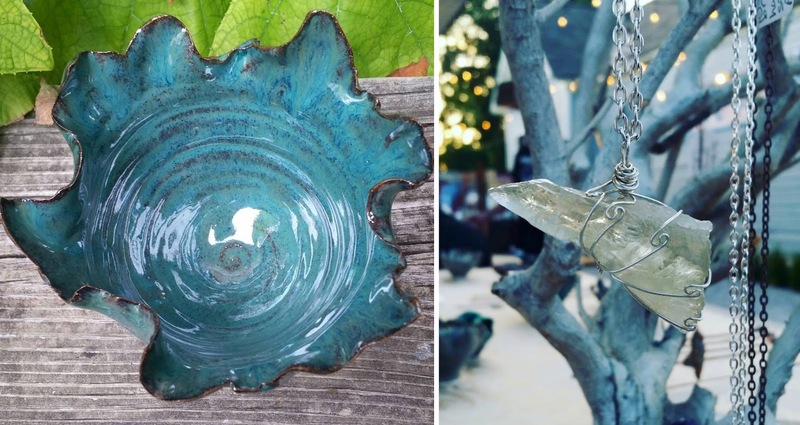 Both her ceramics and her necklaces are handmade with care using elements of the earth like mud and crystals. On their own, these bits and pieces aren't all that special, but the way Ashley turns them in to art makes them beautiful and worthy of display. She first began her artistic career with clay, and she was immediately hooked by how easy it is to get lost in making pottery. She has no trouble achieving creative flow which is really neatly echoed in the flowing forms her pieces take. While most of them start on a wheel to lay the initial foundation, Ashley's pieces are each one-of-a-kind in how they are then molded by hand. I find it really striking how solid, but also delicate her bowls are with a round base and edges full of frozen movement – swirls, curves, folds. The glazes Ashely uses are a nice complement to the shapes. 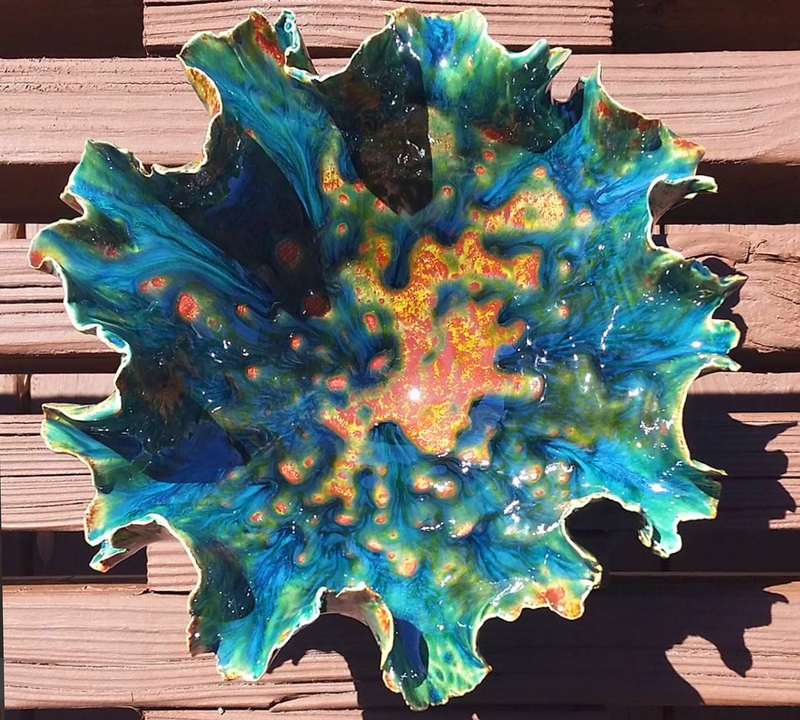 I'm a fan of the pieces where she pours glaze on the surface and swirls them about for a really unique, abstract pattern. The jewelry Ashely sells side by side with her pottery is equally beautiful and multi-dimensional. She is a believer in the healing powers of crystals and enjoys pairing people with stones to suit their emotional needs. Her pendants come together with wire wrapped artfully around crystal, holding, but also showcasing the natural beauty. It's easy to see how art for Ashely is all about the therapeutic nature of making and sharing the results. What a great philosophy to live and make by!